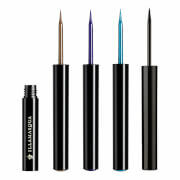 Illustrator pen creates sharp eye liner looks with ease. The skinny tip allows for effortless and precise application and the water resistant, super black formula provides the ultimate colour pay-off. 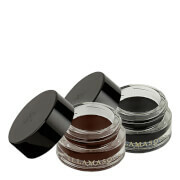 Smudge proof and quick drying; this versatile pen is also a great tool to create detailed, illustrative make-up detail. 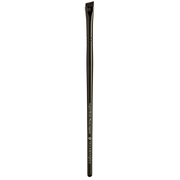 Using the skinny tip provided, apply along the lash line to create the desired eye liner design. Aqua (Water, Eau), Butylene Glycol, Carbon Black (Ci 77266) (Nano), Styrene/Acrylates/Ammonium Methacrylate Copolymer, Peg-60 Hydrogenated Castor Oil, Coco-Glucoside, Citric Acid, Sodium Laureth-12 Sulfate, Ammonium Hydroxide, Phenoxyethanol, Potassium Sorbate, Sodium Benzoate, Iodopropynyl Butylcarbamate. Quick application smooth and even, stays all day! always use it in black ,but please can you make brown colour as well as would definately buy it for daytime wear .just a little more subtle for the day . Really nice eyeliner, good fine point. Not as waterproof as I'd like though.